Our first reaction to a medical problem is often prescription drugs. Their use, however, can often be dangerous and lead to a never-ending cycle of addiction. Now for the first time there is a real alternative, a way to find genuine relief from anxiety, depression, and insomnia without falling into a never-ending cycle of drug use. No more worries about contraindications, side effects, or lack of results. CES (Cranial Electrotherapy Stimulation), is a safe and effective therapy that has been in use for over half a century, bringing relief to millions of sufferers without any of the dangers of side effects, overdose, or addiction. Central-nervous-system agents today constitute the fastest growing sector of the pharmaceutical market, accounting for 31% of total sales in the United States. In 2001, of the 25 drugs with the highest retail sales, 8 were psychotropic, those treating mental health conditions. Antidepressants had the highest retail sales ($12.5 billion) of any drug category and were responsible for the largest share of the increase in overall drug spending from 2000 to 2001. Adult use of antidepressants almost tripled from 1988 to 2000. Women and children experienced the most dramatic rise. In 1999-2000, 10 percent of women 18 and older reported taking antidepressants in the previous month as compared with 4 percent in men. Use among children has seen a very sharp increase, especially with Ritalin used to treat attention deficit disorder. From 2000 to 2002, the government counted an average of 13.5 visits for every 100 boys ages 5 to 17, up from an average of 8.5 visits from 1997 to 1999. The comparable figures for girls were 5.3 and 3.3. By contrast, antidepressants were prescribed at similar rates for boys and girls, and in both cases the rates increased sharply from 1994 to 2002. Dependence on prescribed tranquilizers has risen by 290% since 1962, a period during which the per capita consumption of liquor rose by only 23% and the estimated consumption of illegal opiates by about 50 percent, As noted by Ivan Illich in Medical Nemesis, "Medical addiction ... has outgrown all self-chosen or more festive forms of creating well-being." Some people take the wrong medication; others get an old or contaminated batch, and others a counterfeit; others take medications in dangerous combinations. Some medications are addictive, others have devastating emotional and physical side effects. Every year a million people – that is 3 to 5% of all hospital admissions – are admitted primarily because of a negative reaction to medications. The situation has become especially exacerbated by the medical profession's propensity to dole out medication like candy for the slightest sign of depression, anxiety, or insomnia, helping make drugs like Prozac as chic in the suburbs as crack is in the inner city. This has led to that plague of legal drug addiction, documented by Peter Breggin in his definitive study Toxic Psychiatry. CES is a unique and viable "bioelectric" approach which seems to enhance the homeostasis of the biological central nervous system – the tendency for intrinsic balance within a system. Its ethic is that of self-regulation. Its goal, wellness – a state of proper alignment – the balanced interplay of body and mind attained through personal empowerment rather than dependency. CES proponents believe that increased reliance on external drugs interferes with that self-regulatory process, reducing our ability to cope. That to reclaim control of our life we have to learn how to alter that chemical composition and reorient that circuitry, not through dependency but by activating, strengthening, and effectively employing our own inner resources. Self-regulation, autonomy, and no negative side effects are ample reasons to consider CES. Cost is yet another factor. 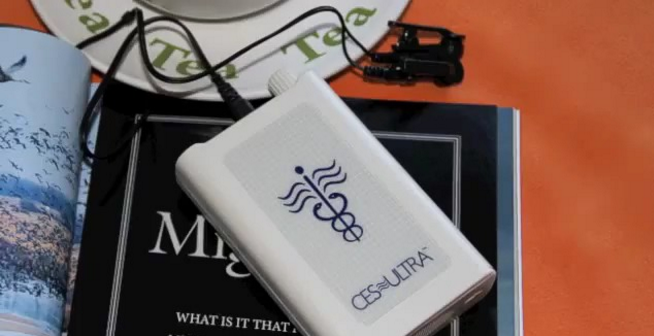 The CES Ultra is but a fraction of the cost of drugs and may be used year after year. ﻿Contact us﻿ today to find out how you can relax, get restful sleep, and find peace of mind – all without relying on drugs. Thanks to the CES Ultra, I've recently been able to wean myself off of SSRI medication. I'm so glad to have found CES. It’s unbelievable how much better it works than medication. It just amazes me that the public isn't really aware of these devices and their effectiveness.... What I wouldn't give to have had one of these about 15 years ago; if I’d only known. Thanks for making a great product. Now when I wake up I feel much better, more relaxed and refreshed and I also feel that I am coping with the stress much better at work. It’s is like having my own personal little relaxation device. I love it and will recommend it to all my friends and associates.